2am on a Sunday and you're fuming about Tennessee? I was thinking it would be around 100,000. Didn’t realize it was that big. I’ll have to go to a game in Knoxville sometime. I’ve lived in Tennessee for a few years but I’m on the opposite side. If you are ever there, please check out the Old City, Gay St., Market Square, and World's Fair Park. Your fat mascot has diabetes. Lot of self hatred involved with the name of Dawg who hates beautiful dogs. What was TU thinking? That’s horrible. Is that a stuffed dog? How tacky. Dude, calling a Bluetick ugly when Uga looks like it was hit with the ugly stick is just plain stupid. Honestly, the Smokey statue isn’t too bad. It just looks cheap. 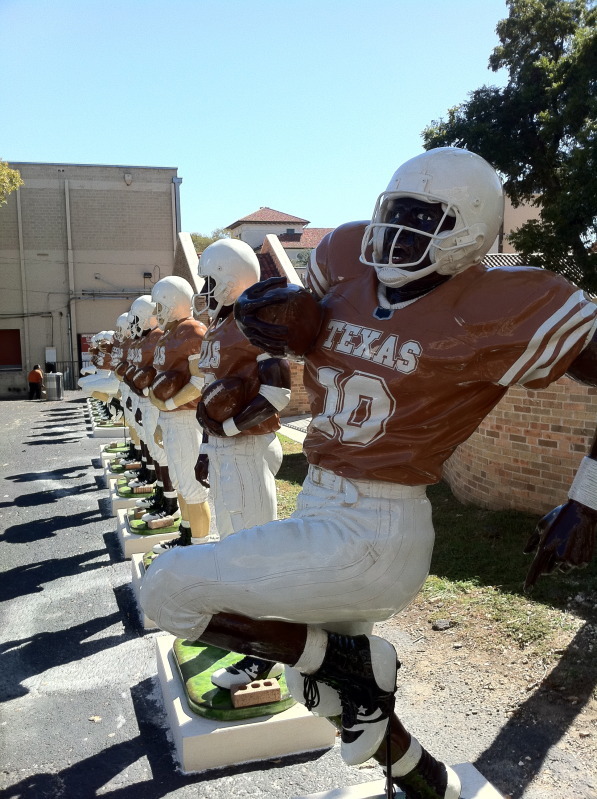 The Texas statues on the other hand...why did the artist go forward with that facial expression? I think he/she is secretly an A&M fan. Good Lord, is every Georgia fan on this site a jealous idiot? Yesterday, a different UGA poster was screaming about the fake dirt in Tennessee's baseball park. I have a great, happy life. And when I start getting sad I just think, hey it could be a lot worse. I could be from TN. 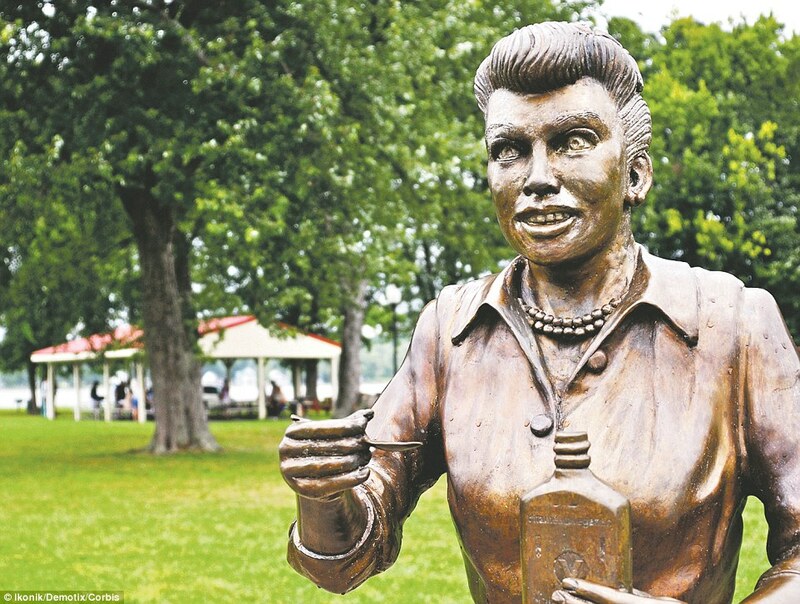 The eyes remind me of that terrible Lucille Ball statute that they put up in her hometown. Those sip statues were comedy gold. It seemed as if everyone but the sculptor was united in thinking they sucked. The abject look of terror in the eyes is money. If I recall correctly they were taken away nearly as fast as when they went up.